Function | The Gobe 72mm 2Peak ND1000 is the perfect filter for capturing the motion of water by reducing light intake and allowing a slower shutter speed. Ideal for shooting waterfalls, rivers, the ocean washing over rocks and surfers flying across the waves. It also facilitates a wider aperture allowing that desirable shallow depth of field. ND1000 | This filter allows 0.098% light transmittance meaning you can reduce 10 f-stops to achieve the desired light attenuation. 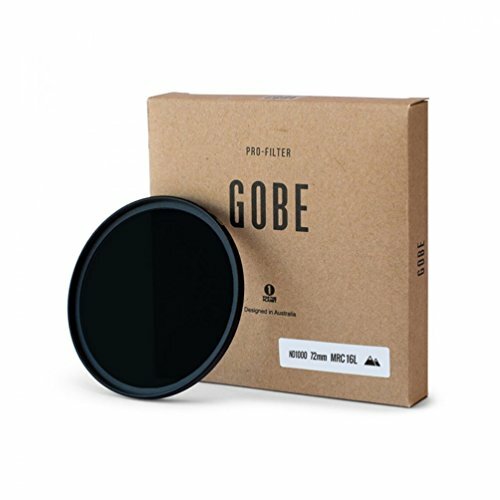 Quality | Made with high quality Japan Optics glass the Gobe ND1000 filter reduces the intake of light without affecting the overall colour balance. It has an ultra slim rim design preventing wide angle vignetting. Extra tough Magnalium frame ensuring durability and jamming prevention. Gobe | Created to provide the highest quality equipment to achieve professional results fit for the rigors of adventure photography. All products are designed and manufactured with the highest quality assurance and are sold direct to customers. Gobe + Dphoto | Includes 6 month free 1000GB cloud storage with dphoto.com, remotely protecting your images and videos on a beautiful online platform. Retail value $60USD. Plant 5 trees | With each Gobe product you purchase 5 trees are planted in an area affected by severe deforestation; revitalizing ecosystems and empowering local communities. Gobe also donates 1% of all sales to 1% for the planet. Visit the Gobe website and join the environmental revolution. View More In Graduated Color Filters.